A seven-year-old Grade one pupil at Earling primary school in Mvurwi was mauled by SIX DOGS yesterday (Thursday). Eyewitnesses identified the dogs' owner as retired colonel Nhapata. It is alleged the boy was on his way home from school when the vicious dogs attacked him. The attack caused severe head injuries that have left his skull exposed. The boy was rushed to Mvurwi hospital by his parents who are unemployed and reside at Earling farm along Guruve-Mvurwi high way. 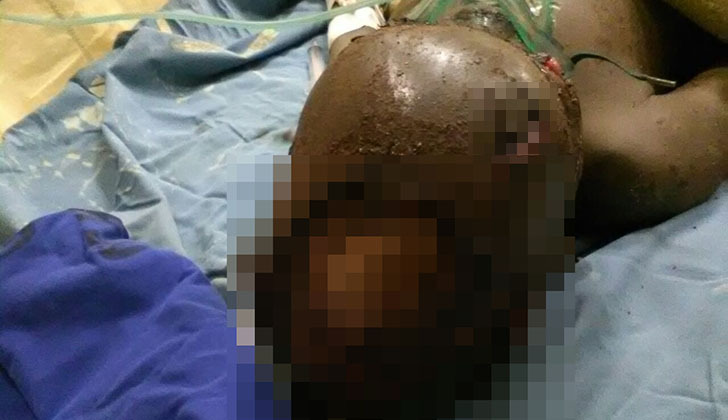 Meanwhile, as a result of the severe injuries the boy was referred to Parirenyatwa hospital and is currently in a critical condition and on life support. Residents and farm workers in surrounding areas expressed their shock at the incident and are fearing for the safety of their children who pass nearby Nhapata's homestead on their way to school. Concerned parents are calling for the dogs to be gunned down. "These dogs should be shot because they mauled an innocent grade one student who was walking home so surely killing them is the best solution, our children are not safe," said the source in disgust.